I wrote this post nearly 2 years ago, and since then, things have changed at BookBaby and Smashwords so I decided to give you all a little update. For those of you not familiar with eBook publishing, Smashwords is the biggest and most popular site to format and upload eBooks to retailers like; Amazon, Sony and Apple. But not long ago, another company arose named BookBaby, the sister company of the popular CDBaby and it’s offering a little more, so I had to check this out. As of last year, Bookbaby decided to follow suit with Smashwords and offer a free option to upload eBooks to their site. The only difference, authors must supply an epub file and afterwards, Bookbaby takes a 15% cut of retail sales. Before, they had monthly subscription fee of $19 and they didn’t touch your royalties but that’s all changed. Now there are two paid services, one at $99 and a premium one at $249. The only difference between the two is that with the $99 one there is a 15% cut of retail sales but the premium service doesn’t touch your sales. These fees by the way, are a one time deal. In these paid services, they offer to format your ebook and distribute it to retailers like Nook, Sony and Apple and for an extra $19 they give you an ISBN. They also have web site design services as well as editing but that’s sold separately, of course! They distribute to most of the major retailers; Amazon, Sony, and Apple. They offer a variety of services from book cover design to editing. It’s as close to one stop shopping for indies that’s reasonably priced. Publish Green offers the same kind of services for much more. They take a 15% cut just like Smashwords. There’s a charge of $50-$100 if you need to make numerous corrections to your book after it’s published. If your book needs “additional formatting” you’ll be charge $150 (U.S.) an hour! Smashwords also offer help in finding cheap and trusted contractors/freelancers to help you with hassle of uploading and even cover design. You can email them for more information at: list@smashwords.com (not affiliated). The last I heard, the prices range from $40-$100, their low costs are what make them the most popular aggregator for indie authors. If you got a problem with handing over 15% of your royalties to a middle man then you’ll need to learn how to upload directly to as many eBook retailers as you can. 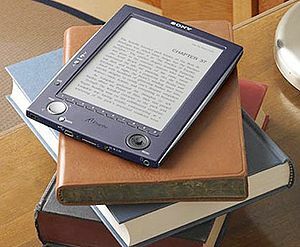 Then use Smashwords or Bookbaby to upload to the sites that still require a third party aggregator like Apple and Sony. Sure it takes time to do it yourself, but it beats handing over 15% to someone who did just a few minutes of work. Either way, when considering any service always take into account your needs and shop around. A lot of self-published authors lose a ton of money on frivolous features thinking it will help improve marketability of their books. If you know of any other services that offer great prices please let us know in the comments section. Next postScrewed by Book Packagers? They were easy to use, have a lot of added value services. Yes, corrections are expensive, but the fact is, no author should be submitting a work full of mistakes in the first place. Do the work, then have it converted. I also found a tiny perecentage of complaints about BookBaby vs. Smashwords and others, and of those some weren’t even valid. Consider What Other Services the Web Design Company Can Offer. get tougher aand the search engines will start demanding more of wweb designers to attract attention from their spiders.